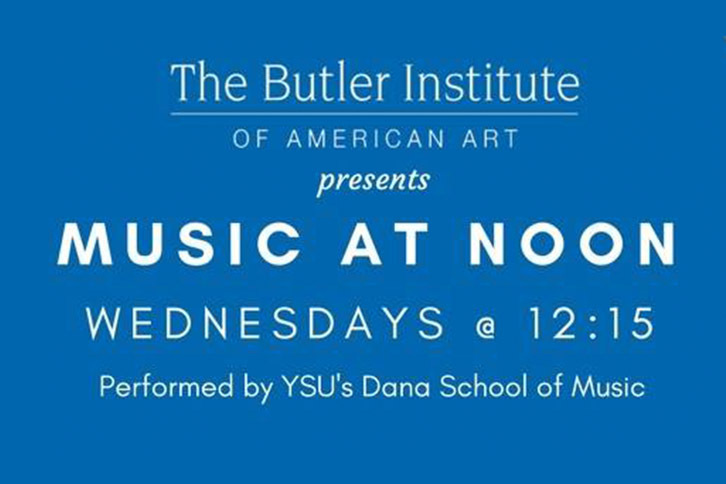 The Dana School of Music presents Music at Noon. The concert will be held at 12:15 at the Butler Institute of American Art and is free and open to the public. Parking is available in the M30 Wick Avenue parking deck for a nominal fee. More information is available by calling the Office of Community Engagement and Events at 330-941-2307. In 2018-19, the Dana School of Music will celebrate 150 years as one of the region’s finest cultural institutions. William Henry Dana’s visionary “Musical Institute” has produced generations of professional musicians who perform in prestigious orchestras, military and jazz bands, and contemporary ensembles; teach in elite conservatories; and develop future musicians in primary and secondary schools throughout the US.